The event will be held April 29 - May 5 at The Boulevard tennis club in Vero Beach. The Mardy Fish Children’s Foundation Tennis Championships announced it will hold a special “pre-qualifying” singles event and main draw doubles qualifying event to be held Wednesday, April 24 through Saturday, April 27 at The Boulevard Tennis Club in Vero Beach, Fla., in advance of the $25,000 ITF World Tennis Tour event. The winner of the pre-qualifying singles event will earn a “wild card” entry into the 32-player qualifying tournament that starts April 29. The winner of the doubles qualifying event will earn a “wild card” entry into the main draw of the doubles event that starts Tuesday, April 30. Both events are open to all players, but the winners must have ITF Ipin numbers in order to participate in the singles qualifying and doubles main draw, respectively. Players can enter the event via the Universal Tennis Rating (UTR) website here: https://www.myutr.com/events/3744. Entries close at 11:30 pm ET on Thursday, April 18. Singles matches will be two sets and a 10-point match tiebreaker for a third set while the doubles matches will be two “Fast 4” sets (first to four games, no-ad scoring, tiebreaker at 3-3) with a match tiebreaker played for a third set. 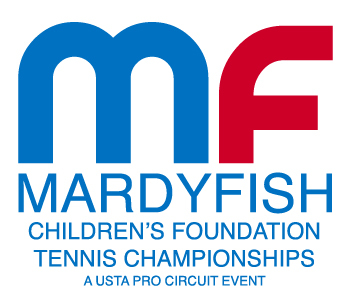 All entry fees benefit the Mardy Fish Children’s Foundation. The Mardy Fish Children’s Foundation Tennis Championships is the USTA’s $25,000 ITF World Tennis Tour tournament played in Vero Beach since 1995 and is regarded as one of the best entry-level professional tennis tournaments in the world. Proceeds from the event benefit the Mardy Fish Children’s Foundation, the non-profit tennis foundation benefiting children, named for Vero Beach native son Mardy Fish, the former top 10 tennis star and the current U.S. Davis Cup captain. The event will be held April 29 – May 5 at The Boulevard tennis club in Vero Beach. This entry was posted in ITF World Tennis Tour, ITF World Tennis Tour News and tagged Mardy Fish Children's Foundation Tennis Championships.